Terra do Castelo is a winery of the Ribeiro Denomination of Origin founded in 2004 by 104 winegrowing families, which have 110 hectares spread over more than 1,000 vineyards, of which about 800 vineyards are inherited generation after generation in a region with over 2,200 years of winemaking tradition. We elaborate high range wines, betting only on the quality of the native varieties (Treixadura, Godello Torrontés, Loureira, Albariño, Mencía, Caiño, Sousón, Brancellao, Ferrón ...) of our old vineyards located in the best areas of Ribeiro ( Valle del Avia, Miño valley and Arnoia valley). For this reason, our winery is located in Beade, possibly the most important area of this designation of origin and our vineyards are mainly located in the Valley of Avia "val do ouro", the most historically important area of Ribeiro's top quality wines. 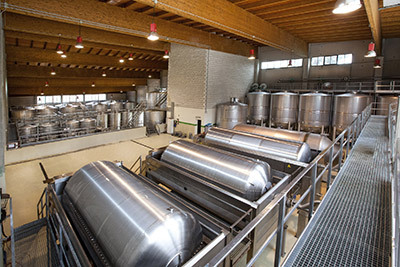 Being a young winery we know that the only way to enter the market is maximum quality and competitive prices. 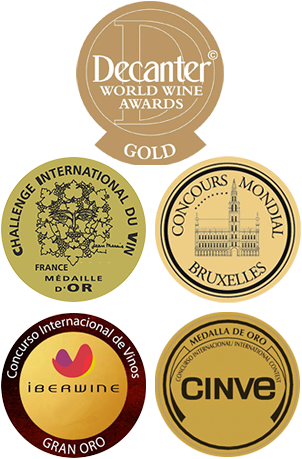 We are one of the only four wineries that dare to make toasted wine and one of the first wineries in Spain to obtain the Q quality certificate for guided tours. The 104 founding viticultural families of Terra do Castelo, want to thank you for your trust. Working, caring and respecting the Galician countryside would be impossible without you. Enjoy wine with moderation.